Are you looking for some Christian children’s books to read to your kid? This will help! There is some crazy stuff going on these days. Maybe more than ever it’s important we choose what our children are exposed to. That we choose to show them things that are beautiful, noble, and that highlight good character. I am also in agreement that books are so so awesome. Reading to children is one of the best gifts we can give our kids. It gives us a medium to tell them beautiful stories, teach them history, and share important time together. As they get older, it gives you a way to help discuss the important things in life. Books are transformative within families. You can read them as a calm down trick or as a bedtime routine or any other time of day you’d like. 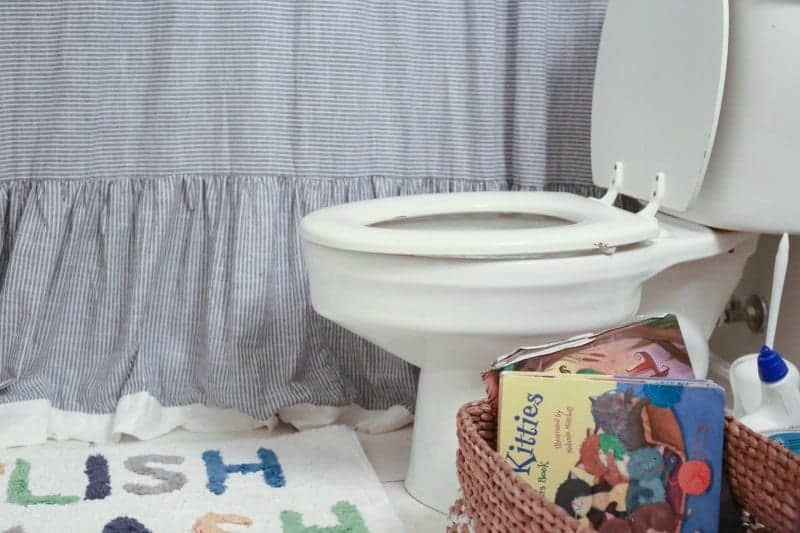 Keep a basket of books in your bathrooms by the toilet (yes, I said that!) and watch your kids start reading more immediately because… what else are they going to do while sitting there? It’s much better than a tablet. Obviously there are tons of books out there and I can’t make an exhaustive list, but I can cobble together the ones we love in our home and the bestsellers out there to help guide you in your book purchases. Also, if you aren’t going to buy them all today, but want to make a list, make sure and use the Lists feature in Amazon. It’ll be near your account info. You can create as many lists as you want, the sky’s the limit! Here are some of my favorite Bibles that we have in our home as well as others that are highly recommended bestsellers. I tend to love the Jesus Storybook Bible (below) the most because the imagery is so beautiful. 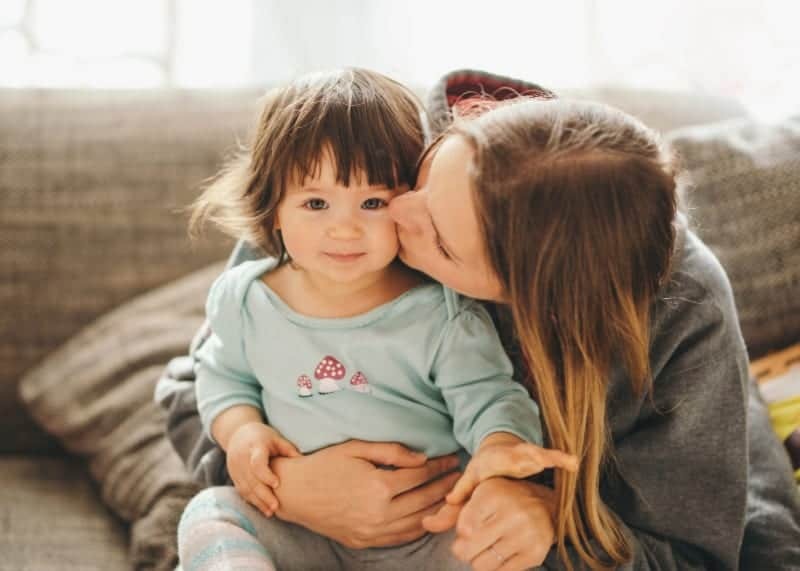 My daughter reads another version for her homeschooling curriculum (pros and cons of homeschooling here) and to me, the most important thing, is to get them hearing these stories at an early age. We bought our kids their own individual Bibles as they are able to read them. My son is 6 and can’t really read his version too well, but my daughter is able to and we use them when we’re doing Bible studies together, for church, and when they go to kid’s church on their own. I think that gifting your child a First Bible when they’re able to read is a great tradition and something to be cherished. We have bought a few devotionals over the years and they are great to help draw out some conversation around certain topics. Sometimes they are easier to help introduce the Word of God to kids because they will take a verse and focus a short applicable story around that. Very good starting off point for asking questions and getting kids to think about how the Bible is not separate from life, but a guide to life. Lots of famous Christian authors have wanted to write a children’s book. To narrow down a message to something even children can understand. If you can take a complicated message and help even young ones to get it… that is a sign you’ve got a deep understanding of it. Here are a few children’s books written by well known Christian authors, speakers, singers, etc. When teaching our children about certain virtues, character traits, or values it’s helpful to read books or stories relating to this. You can draw stories out of any book – it’s true – but often reading certain books on certain topics works kind of like a unit study. Digging deep in one area allows you to really talk it through and establish the concept on your heart. Here are some floating around that don’t have a specific category, per se, but are well known to be Christian in nature or written by Christian authors. They are easy to read, easy to listen to, and help children look to and listen for higher order topics. Overall, these are great books to keep on your bookshelves and in your book baskets. So these books are either written by Christian theologians or are safe if you are wanting your children to branch out in reading, but make sure the content is something you approve of. These are basically classics the world over that have stood the test of time. You can buy them individually or in boxed sets, but I’m linking boxed sets for ease if they’re available. I love reading books that give book lists at the back. These are a few that’ll help you make a good long book list on Amazon and then buy them strategically as you are able. The books are high quality, easy to read aloud (and interesting to listen to aloud) and have quite a few classics within them as well.